Mad Dog, according to the PAC’s website, “solicits contributions from concerned citizens to fund billboards against Treasonweasel House GOP candidates across the country.” Some of the politicians they’ve recently targeted include Reps. Kevin McCarthy (R-Calif.) and Matt Gaetz (R-Fla.). According to the Pensacola News Journal, the organization was registered as a PAC in December 2017 by Claude Taylor, a former White House staffer under Bill Clinton. 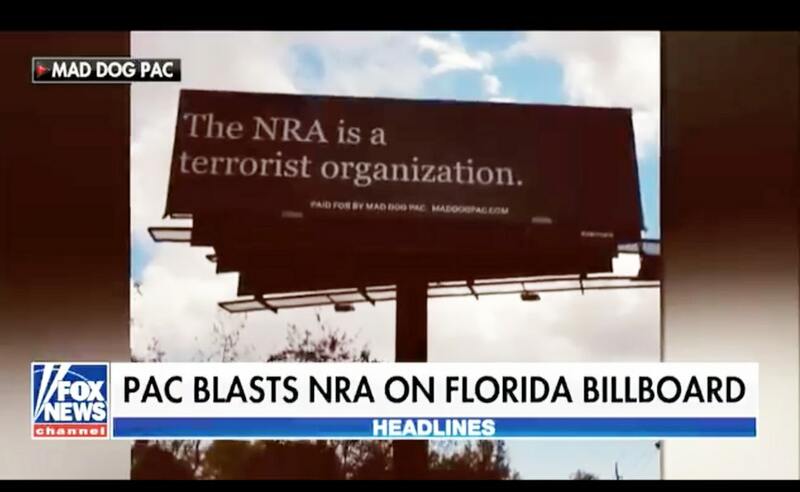 Launching its billboard campaign in January, the group has also funded signs that demand President Trump be impeached, and are now orchestrating an anti-NRA campaign.